Whistler’s only lakeside property, Nita Lake Lodge, is delighted to be named Canada’s #5 Top Resort (with a score of 98.09) in the 31st annual Condé Nast Traveler Readers’ Choice Awards, announced earlier today. Nita Lake Lodge was placed alongside impressive company including The Wickaninnish Inn (#1 / 98.81) and Fairmont Banff Springs (#10 / 91.4). As a destination, Whistler collectively achieved something remarkable: six of the twelve best resorts in Canada are located in Whistler. 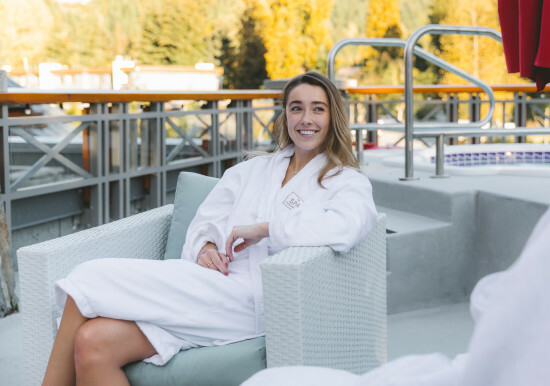 Nestled on the shores of a glacier-fed lake and only a 5-minute shuttle ride away from world-renowned Whistler village, Nita Lake Lodge offers genuine service, oversized suites, full-service spa, and innovative local cuisine, creating the perfect foundation for a west coast escape. To book your stay at Whistler’s leading boutique hotel, visit www.nitalakelodge.com or call 604-966-5700.